If you are interested in martial arts of ninjutsu or bujinkan ryū-ha and you would like to start attending our trainings we will gladly welcome you amongst us. 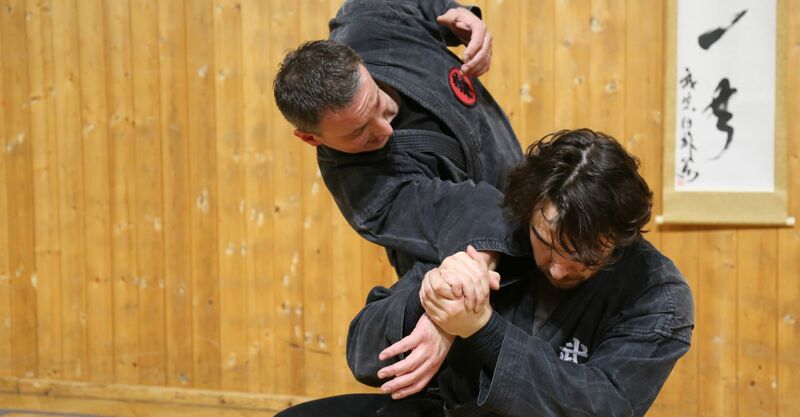 There are up to five training sessions at Prague dōjō each week. You can choose to come any day of the week. Moreover we try to make Thursday lessons more suitable for beginners, as they are focused on basic techniques. There is also more time for questions. The goal of these lessons is to make your time at other sessions with more experienced students easier. With teacher’s permission it is possible to start at any time of the year, there is no need to wait for the beginning of calendar or school year. We will always help you to embrace exercised movements as fast as you can. For children up to 14 years of age we have Prague children section. Information about children training can be found here. You can come and just watch, but we think it is much better to try it straight away, without obligations and free of charge. You will gain more through your own experience with training than just by watching it like a movie. You can find scheduled times of training sessions at training page. You need nothing but loose sportswear with you at your first lesson. Of course it is better if you had kimono (gi). Do not worry about shoes; we exercise barefoot in our dōjō. All other equipment will be lent to you.